The FBI and the U.S. Department of Justice have issued orders compelling Apple to create a hackable version of iOS that can be installed on iPhones to bypass important security measures. Cook also argued that creating this software will give authorities the power to unlock more iPhones, and would essentially turn Apple into an arm of law enforcement. ABC News reported that Apple has received (and contested) 15 court orders to extract data from an iPhone in just the last five months. Cook told ABC News that the DoJ filing compelling Apple to help the FBI was unexpected, and that he wished there had been more dialogue and communication from the Obama administration before resorting to that type of action. Cook revealed that he had not spoken to President Obama yet to address this issue, but that he is planning to. 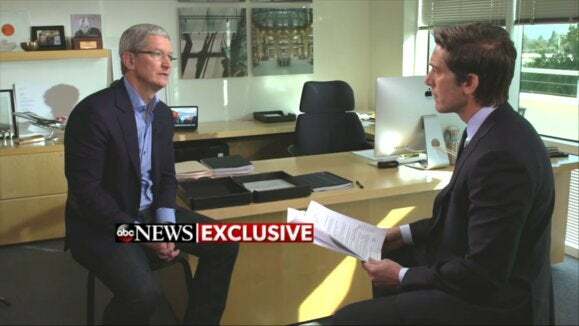 Updated: Tim Cook’s full interview with ABC News is below.